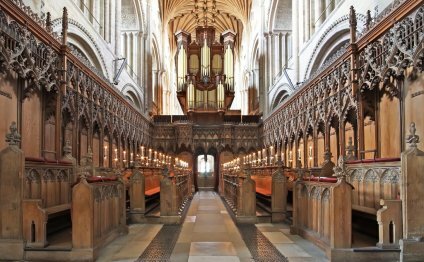 Norwich School is proud to educate the trebles of the Cathedral Choir. The standards that these young boys are able to achieve are truly remarkable. The Choir sings daily in the Cathedral and enjoys a national and international reputation, broadcasting regularly on radio and television and taking part in concert tours at home and abroad. Our choristers are often among the most committed and high achieving of pupils within the wider context of school life. We value the immense contribution that they make. A choristership brings daily acquaintance with fine literature and music in one of the great buildings of our Christian heritage. The enthusiasm of the choristers for their work is infectious and quickly draws all newcomers into the fellowship. The disciplines of stability and concentration which choristers must quickly acquire are of lasting benefit.